January 6th in Wordpress Plugins by Wordpress Jedi . Schema Creator: adds Schema.org microdata to WordPress pages and posts. It has a simple form to help you with the implementation process. Author hReview: makes your review listings in the SERPs more eye-catching by adding review and aggregate rating information. It is highly customizable too. 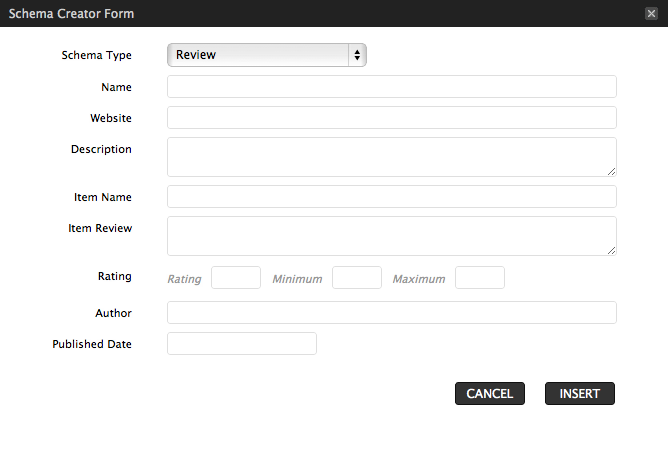 Review Schema: this cool plugin adds Schema.org markup options for reviews to your website. 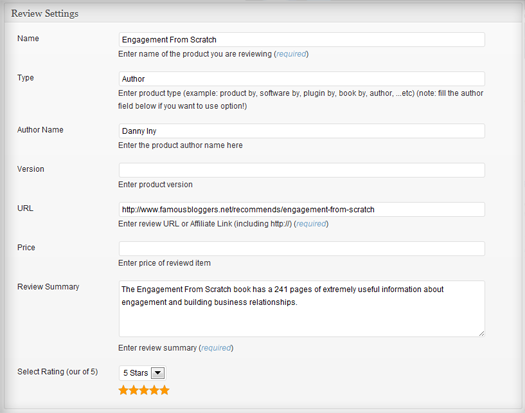 This is what you need to display star ratings and review information in the SERPs. Opengraph and Microdata Generator: an interesting plugin that adds Facebook OpenGraph and Schema.org compatible micro-data to your site. SEO Ultimate: an all in one SEO plugin you can take advantage of to optimize your site for the search engines and add rich snippets to it. Other SEO plugin developers are starting to add a rich snippet generator to their plugins as well. These are by no means the only plugins you can use to customize your site’s rich snippets (we have already covered some for recipe sites and Google+). You could always do all the work without using any plugins. The choice is up to you.